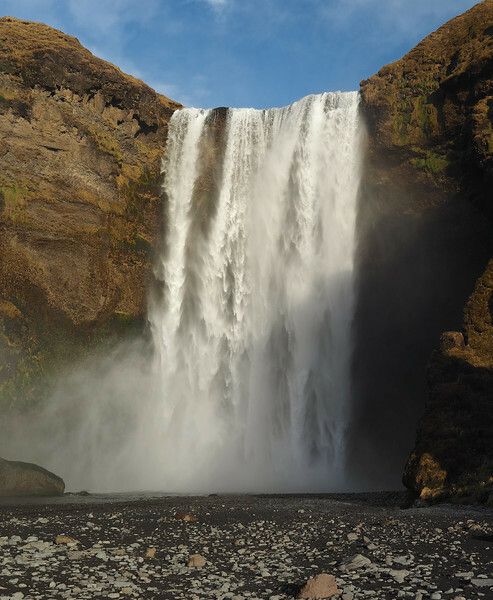 Iceland welcomes the Olympus OMD E-M1. Dramatic as it is spectacular, Iceland is the perfect backdrop to test the new Olympus flagship. Breathtaking scenery, with challenging dynamic range via the watery, icy and volcanic landscape. Armed with an array of lenses (m4/3) 12mm, 75-300mm & (4/3) 12-60mm SWD, 7-14mm & 8mm fisheye this was to be my third visit to this wonderful country. A perfect playground to push the new Extreme mirror-less dslr replacement and its host of features such as 'live bulb', time lapse, art filters and test the water/freeze proof qualities. All pics are captured with the E-M1 except those on the last 2 pages with myself in action - these give a pictorial insight of how I work the camera to get the shots, and were captured with the OMD E-M5.